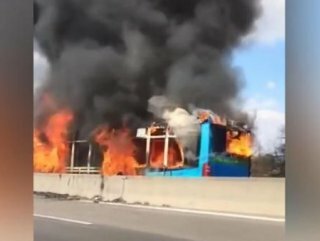 "I WILL CARRY OUT A MASSACRE"
A video posted on Italian news sites showed the driver ramming the bus into cars on a provincial highway before the fire took hold. Children can be seen running away from the vehicle screaming and shouting “escape”. 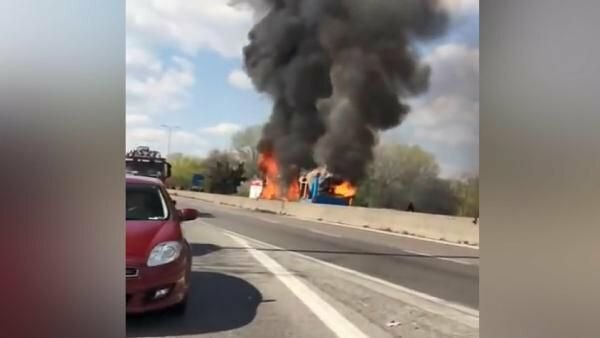 One of the children told reporters that the driver had threatened to pour petrol over them and set them alight. One of group managed to call the police, who rushed to the scene and broke the bus windows to get everyone to safety. 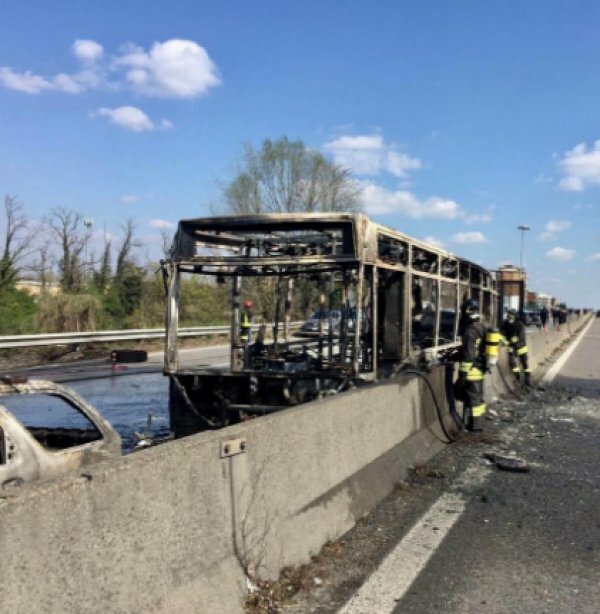 Palmieri said some children were taken to hospital as a precautionary measure because they had bruises or were in a state of shock, but none suffered serious injuries. 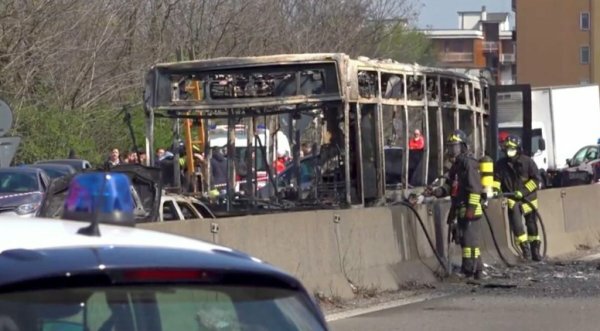 A teacher who was with the middle school children was quoted by Ansa news agency as saying that the driver had said he wanted to get to the runway at Milan’s Linate airport. An unnamed girl was also quoted as saying that Sy blamed deputy prime ministers Matteo Salvini and Luigi Di Maio for the deaths of African migrants at sea. The United Nations estimates that some 2,297 migrants drowned or went missing in the Mediterranean in 2018 as they tried to reach Europe. A Libyan security official said on Tuesday that at least 10 migrants died when their boat sank off the Libyan coast near the western town of Sabratha.